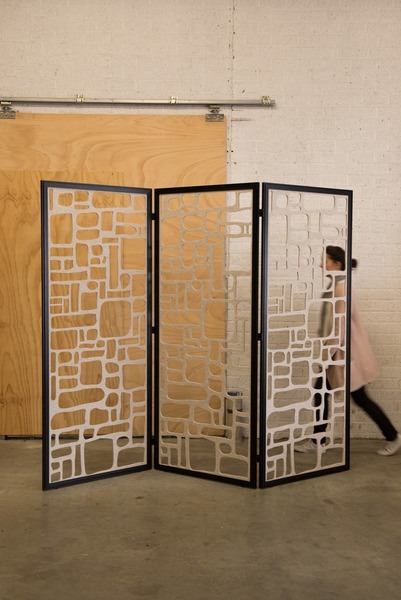 BuzziFalls, our playful room divider that was launched in 2014, is also available in a free-standing folding screen. The “Trio” version consists of 3 panels and is ideal to divide your office or room any way you want. It also exists in a single model that you can expand by adding multiple single panels. Personalize it by choosing a striking BuzziFelt color and one of our different patterns.